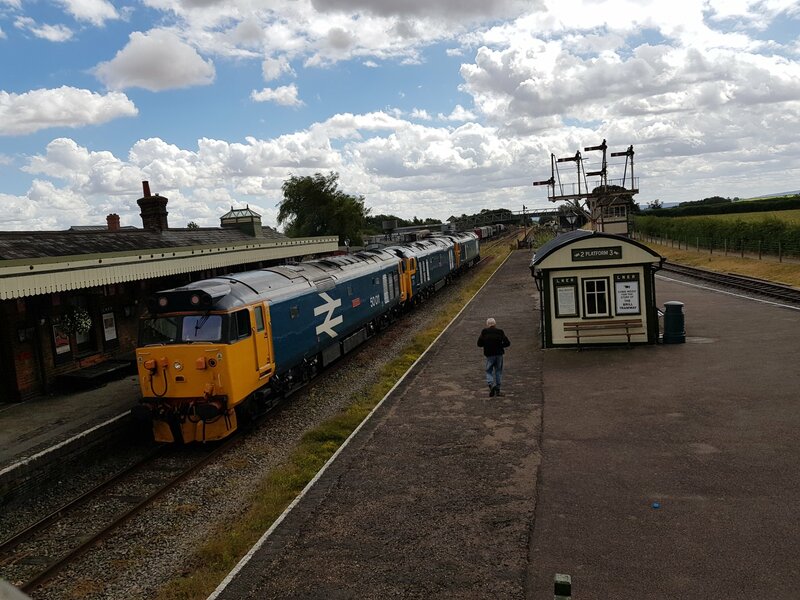 On Saturday 28th July 2018 three Class 50 locomotives visited Quainton as part of a private charter associated with a wedding held at the Centre. 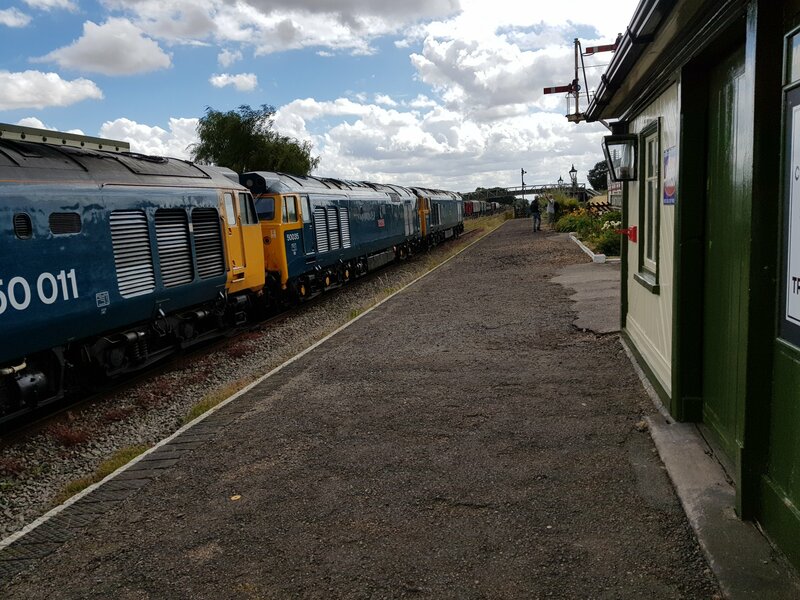 The three class 50s are owned and / or operated by the Class 50 Alliance based on the Severn Valley Railway. The formation consisted of, from the Aylesbury end, 50007 Hercules, 50035 Ark Royal and 50049 Defiance. Confusingly, perhaps, 50007 was showing 50006 on the Waddesdon side and 50049 was showing 50011 on that side. 50006 Neptune and 50011 Centurion are long since scrapped sister locomotives; 50006 scrapped in 1988 and 50011 in 1992. 50007 Hercules and 50049 Defiance are certified for mainline running, and 50035 Ark Royal is certified for travel on the mainline. With thanks to Realtime Trains for timing information.